We are one of the trustworthy and renowned organizations, involved in offering a wide gamut of FB 10x Foam Making Branch Pipe to our clients. 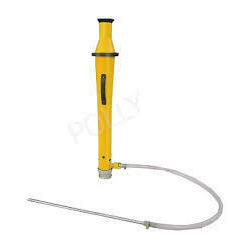 Foam Making Branch Pipe - Aluminium Alloy. Inlet 2 1/2" Male Instantaneous. Working Pressure - 145 PSI Max. Foam Expansion - 8 to 10 time. - type: fb5x & fb10x. - wide operating pressure range. - water shut off valve. By utilizing the modern techniques and advanced tools, we are able to manufacture and export the spectrum of Foam Making Branch Pipe. These pipes are high in quality and available in different sizes to suit with the demands of individuals. All our pipes are used for making foam so that appreciated among different industries. We are instrumental in offering exclusive range of Foam Making Branch Pipes. Known for precision engineering, these Foam Making Branch Pipes are obtained from the reputed vendors. These Foam Making Branch Pipes are made out of high grade metal and are provided in a range of metals, size and shapes. Material: Made from aluminum, alloy & PVC braided tube. Working Pressure: 145 PSI Max.